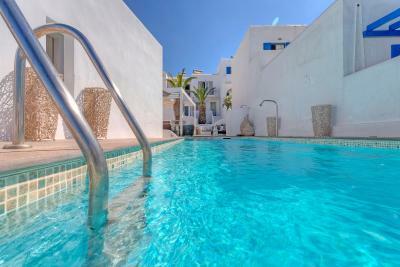 Lock in a great price for Lilly Residence-Boutique Suites, Adults Only – rated 9.5 by recent guests! It exceeded my expectations! Chris and his colleagues were extremely attentive and helpful with information about the area. It’s a must for anyone visiting the island! Chris was one of the best hosts we’ve ever had. Approachable, kind, multitasking. Helped us a lot in few situations. 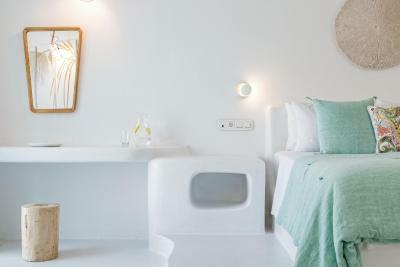 Hotel is absolutely fabulous, super clean, quite, with attention to details. Open air cinema every night.. what else you can ask for? Definitely recommended! Christos was incredibly helpful and very prompt at answering emails etc. The property was immaculately clean. The breakfast was delicious. The wardrobe storage was great, the bar fridge large so you could fit quite a lot in. 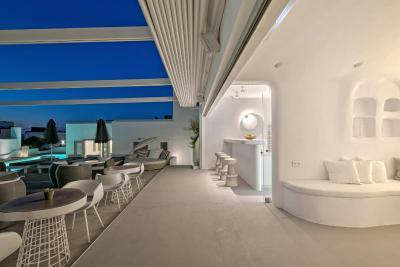 The communal area & pool was a very elegant design & fitout. The terrace is really nice. The service is outstanding. Beautiful facilities and view. Very gracious and welcoming host. Lovely breakfast. Everything. 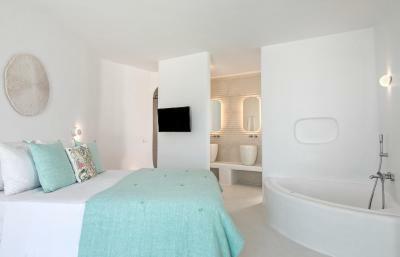 Perfect boutique hotel....beautiful, clean, great location! Staff was very attentive, accommodating and went the extra mile to make me feel welcome. Breakfast was excellent and the surrounding pool area impeccable. Christos was an excellent host and very helpful. The breakfasts were varied and high quality with different dishes each day. Christos' advice was spot on. Do as he says - hire a car! Easy with free lift back to the airport/port. 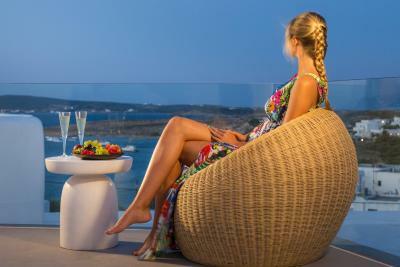 One of our top picks in Naousa.Located by the sandy beach of Naoussa, Lilly Residence - Boutique Suites, Adults Only offers luxurious accommodations with views to the Aegean Sea from its balcony or terrace. 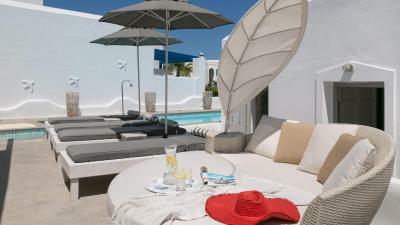 It features a fresh water pool with sun terrace, a poolside bar and free WiFi throughout. 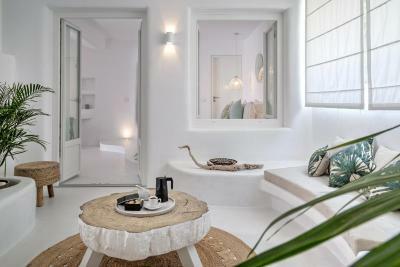 Modernly decorated with bright colors and handmade paintings, all suites and junior suites offer ultra silent air conditioning, fully-stocked mini bar, Hermes® luxurious bathroom amenities and flat-screen satellite TV. 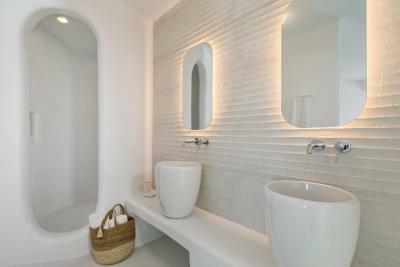 Bathrooms offer either walk-in showers or spa baths or both. For your convenience, maid service is provided twice per day. 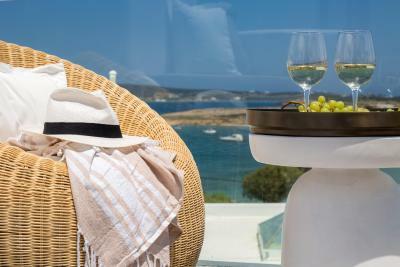 A champagne buffet breakfast with a wide variety of local products is served daily at the sun terrace, by the pool. Guests can enjoy their lunch, drinks or cocktails by the pool-side bar. 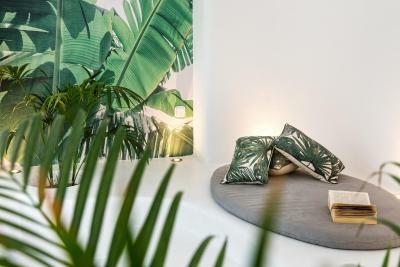 Staff at Lilly Residence - Boutique Suites, Adults Only can advise on local attractions, can provide ticket and transfer services and can arrange car rental to explore the island. Concierge is also available. 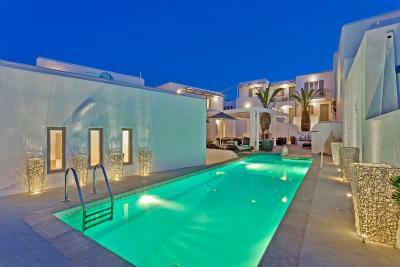 The center of Naoussa village is only a 5-minute walk away. 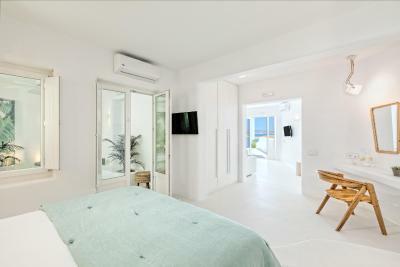 When would you like to stay at Lilly Residence-Boutique Suites, Adults Only? 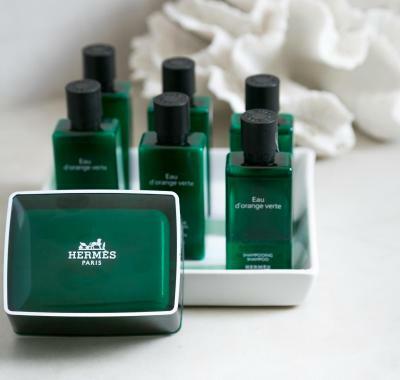 - free toiletries by Hermes and a hairdryer. Twice daily maid service is provided. Maid service is provided twice per day. 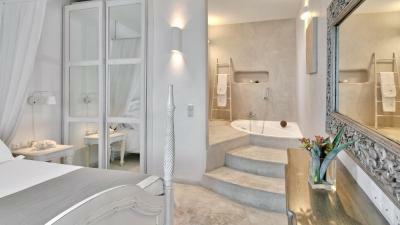 Please note that one of the units offers an in-room hot tub, while the other has a 2nd private, covered balcony. 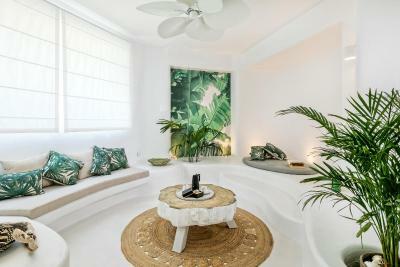 House Rules Lilly Residence-Boutique Suites, Adults Only takes special requests – add in the next step! Lilly Residence-Boutique Suites, Adults Only accepts these cards and reserves the right to temporarily hold an amount prior to arrival. In case of early departure, there will be a 100% charge on the remaining nights. Your reservation will be guaranteed until 18:00 on the day of arrival. Please let Lilly Residence know your expected arrival time in advance. You can use the Special Requests box when booking or contact the property. Kindly note that children under 12 years old cannot be accommodated at the property. Guests are required to provide, during check-in, the credit card with which they made the reservation with. 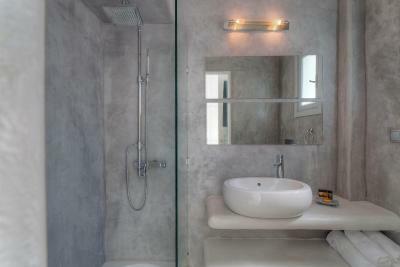 We would have preferred a stand up shower in the bathroom or a curtain around the jacuzzi. There is nothing to dislike although personally I don’t like to bath in front of anyone so a bath in the bedroom is not to my taste. That we couldn't have stayed longer. 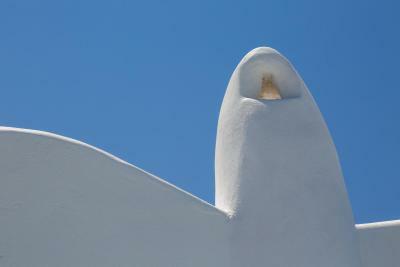 Paros was by far our favourite Greek island. 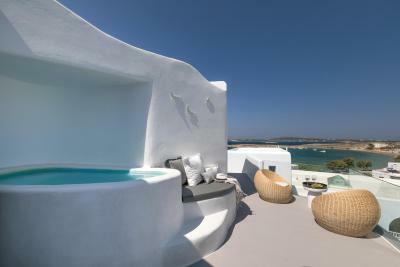 This was our first trip to Greece and our stay in Paros at Lily Resident-Boutique Suites did not disappoint. It actually surpassed our expectations. 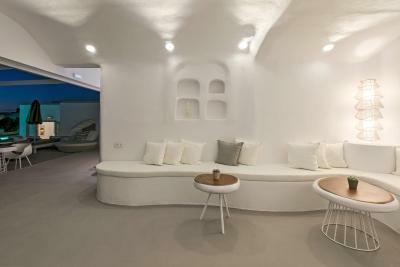 The photos and description do not do this hotel justice. It's even better in real life. Christos and his team are amazing. They were incredibly hospitable, helpful, and extremely professional. Christos is a charming "host with the most." He has a lovely, straight up and honest personality, and a great character. From start to finish, he is your Paros host and guide. He understands that each guest is unique and caters to that. The hotel was extremely clean and very new. 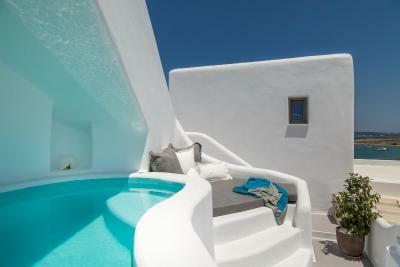 Awash in white, and embracing Cycladic design, this was the picturesque Greece that we had imagined. We lucked out and got the room with a rooftop terrace which offered breathtaking 360 views of the sea and the countryside. Air conditioning and WIFI (note, due to infrastructure, we were unable to stream movies, but emails and surfing websites were possible - you're on vacation....it's time to unplug) were more than adequate. Breakfast was included and offered a good selection of fruit, baked goods, and cold and hot selections. The location was amazing - a short walk to the beach (serviced with chairs and umbrellas) and the old town, with access to a number of good restaurants and shops. We enjoyed dinner at Yemeni and Kapari. 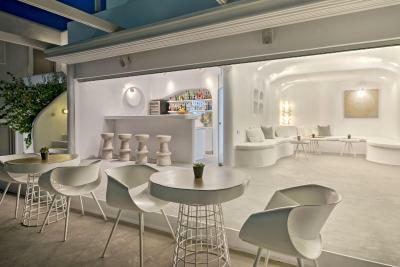 Thank-you to Christos and his team for a fantastic and memorable time in Paros. We highly recommend Lily Boutique. 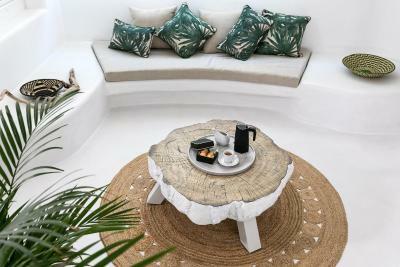 Comfort, luxury and attention to detail. We had a delightful stay. The location was quiet and a short walk to the 60 or so restaurants - good for walking off dinner. 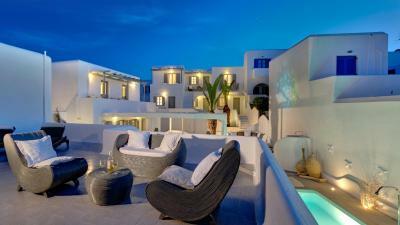 The attention to detail was exceptional and little extras such as evening movies by the pool were a lovely touch. 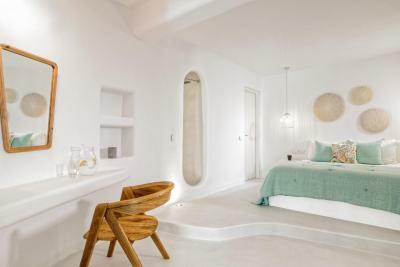 A very comfortable room with spa and view. Lovely staff. We had a great stay.We chose the hotel again because of our previous stay a couple of years ago and we really enjoyed it.